Racial/ethnic minorities, patients who are uninsured or only have Medicaid insurance and those living in low-income ZIP codes were less likely to receive a heart pumping device known as a left ventricular assist device (LVAD). Medicaid expansion intended to improve access to healthcare was not associated with a significant change in access to LVADs among patients who were likely to be poor. 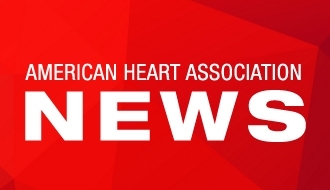 ARLINGTON, Virginia, April 6, 2019 — Patients who are African-American or Hispanic, uninsured or covered by Medicaid insurance and living in low-income ZIP codes are less likely to receive a heart-pumping device known as a left ventricular assist device (LVAD), according to preliminary research presented at the American Heart Association’s Quality of Care and Outcomes Research Scientific Sessions 2019, a premier global exchange of the latest advances in quality of care and outcomes research in cardiovascular disease and stroke for researchers, healthcare professionals and policymakers. Research has shown that there are disparities based on socioeconomic status associated with the types of care patients receive for heart disease and how well they do after treatment. 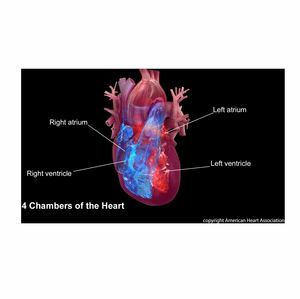 The new study examined the relationship between socioeconomic status and implantation of LVADs, which are typically used to maintain patients waiting for a heart transplant or as the final therapy for patients with heart failure. Additionally, researchers set out to determine if Medicaid expansion through the Affordable Care Act, intended to improve access to insurance and healthcare for more people, has had any impact on LVAD implantation. The researchers used the federal government’s State Inpatient Database, which contains all inpatient care records in participating states. They looked at data for all patients less than 85 years of age admitted with heart failure or cardiogenic shock in Alaska, Arizona, Colorado, Florida, Iowa, Maryland, Massachusetts, Michigan, Nebraska, Nevada, New Jersey, New York, Vermont, Washington and Wisconsin between January 1, 2012 and September 30, 2015. Patients residing in the lowest-income ZIP codes were 26 percent less likely to receive LVADs than those in higher-income areas. Among patients who received LVADS, African-Americans and Hispanics were less likely to die in the hospital compared to Caucasians. Privately insured patients who received LVADs had similar rates of death as those on Medicare, higher death rates than patients on Medicaid and lower death rates than those who were uninsured. The researchers also compared rates of LVAD implantation for patients likely to be poor in states that expanded Medicaid with states that did not expand Medicaid during the 21-month study period. They found that the rate of LVAD implantation in Medicaid expansion states increased slightly from 0.35 percent before to 0.40 percent after expansion. In non-expansion states, the LVAD implantation rate remained at 0.23 percent during the study period. The differences between these changes were not statistically significant. Not all states participate in the State Inpatient Database, which limited the study, particularly for the analysis of LVAD implantation rates in Medicaid- and non-Medicaid-expansion states. Another limitation was the absence of data after 2015. “As LVADs become more common with technological advances that lower complication rates and make the devices more portable, healthcare providers will need to better understand the underlying causes of these disparities in who gets these potentially lifesaving therapies and who doesn’t,” Wang said. Co-authors are Alina A. Luke, M.P.H. ; Justin M. Vader, M.D. ; Thomas M. Maddox, M.D. ; and Karen E. Joynt Maddox, M.D. Author disclosures are on the abstract. Mentors In Medicine of the Washington University School of Medicine funded the study. Note: Scientific presentation is 9:30 a.m. ET, Saturday, April 6, 2019. Instructor in Medicine, Washington University, St. Louis, MO.